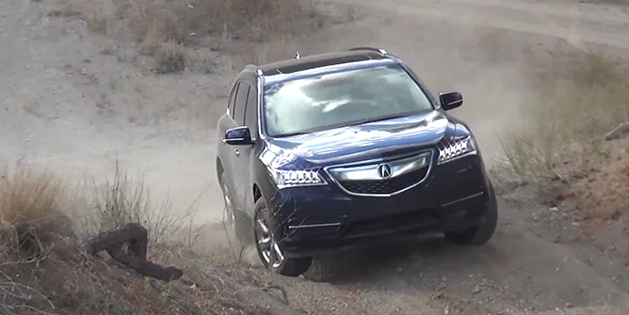 The EverymanDriver Dave Erickson gets behind the wheel of a 2015 Acura MDX SH-AWD for another of his off-road test reviews. The hills were steep and rugged at the Spokane ORV Park, at one point forcing the SH-AWD equipped MDX to push through successfully on just three wheels. Watch the 8:13-minute off-road review below.